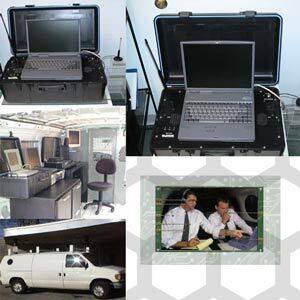 The GSM Cellular Interceptor now offers a full suite of tracking intelligence and forensic technologies. In addition to non-intrusive intercept of voice and SMS text messages, the GSM Cellular Interceptor may also provide surveillance officers with investigative support mechanisms. With features that operate beyond the capabilities of an IMSI Catcher, interception also involves target identification, call manipulation, and GSM phone tracking. These next generation tools leave a small footprint, enabling Law Enforcement and intelligence agencies to keep track of the criminals they are listening to as well as locating during an investigation. Added benefits include discrete monitoring techniques in order to reduce suspicion and eliminate concerns by suspects under observation. In addition to monitoring, the system build also accommodates storage of intercepted communications, be they audio voice conversations or data attributes. For more information, Contact Us by filling out the Security and Defense Inquiry Form on this page.